The Great Britain pound ended trading lower against its major peers, being dragged down by comments from British Foreign Secretary Boris Johnson, who signaled that the process of Britain’s exit from the European Union may start earlier than it was previously anticipated. I don’t actually think we will necessarily need to spend a full two years, but let’s see how we go. There are concerns that the actual exit of the UK from the EU can be harmful to the nation’s economy, therefore the news made the already vulnerable sterling even weaker. 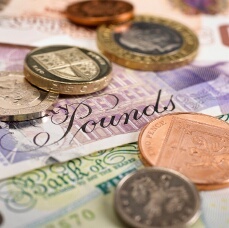 GBP/USD fell from the open of 1.3076 to end trading at 1.2961. EUR/GBP rallied 1% from 0.8569 to 0.8657, and its daily high of 0.8678 was the highest since August 19. Star Wars: Was Kylo Lying about Rey’s Parents?